Same day collection from Betchworth – Next day collection from Nags Hall. Simple or bold, contemporary or classic, Knights Flower Shop has something for every occasion. Our expert florists are on hand to help you realise your floral requirements, capturing the mood and the moment perfectly. From celebratory flowers to floral tributes their skill and artistry delivers beautiful displays that make any occasion memorable. Our Flower Shop is situated within the beautiful Plant Centre at Betchworth on the Surrey/Sussex borders. All designs are made by our Professional Florists from our wonderful fresh selection. Flowers are always ready for you to choose. 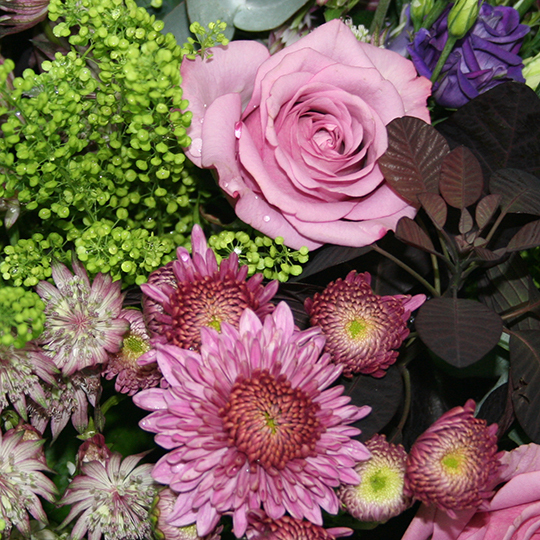 Alternatively, our Florists would be happy to make up any design to suit your requirements. One of the most important days of your life... Our Design Team would be most happy to have preliminary discussions at a mutually agreed time. The Free Consultation will take you through your day. The Bridal Bouquet ‘sets the scene’ and we then create your every wish. We liaise with most of the Funeral Directors within the area and are able to assist you in choosing that special tribute during a difficult time.